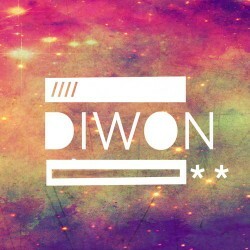 Los Angeles based artist Diwon wears many hats; between producing, DJing, songwriting and being involved with two independent labels, the multi-talented individual is definitely no stranger to hard work. With a mixture of sounds that often blends the music of the Middle East with hip-hop and dancehall, his style is a far cry from most of the tasteless tracks being made today. The fall marks the release of Diwon's next LP, New Game, and with that, we get some scenic visuals for "Games That We Play", the first single from the album. With the video, we see what appears to be a female carrying a shovel juxtaposed with some scenes of rappers Barney Bones & Jesse Scott at a bowling alley. Check the video out down below and make sure you pick up New Game, which drops today. Barney Bones avoids the perils of selling out on "Crash N Burn"